The course teaches Instructor Candidates how to teach the knowledge, skills and attitude essential for avoiding dangerous confrontations and for the safe, effective and responsible use of a concealed pistol for self-defense outside the home. Instructor Candidates have the opportunity to attend this course using a quality strong side hip holster that covers the trigger, or a holster purse. From a review of safe firearms handling and proper mindset to presentation from concealment and multiple shooting positions, this course contains the essential skills and techniques needed to teach students to prevail in a life-threatening situation. 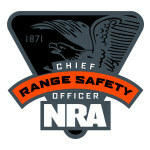 The NRA Personal Protection Outside the Home Instructor Course is divided into two levels (basic and advanced). Level one offers the essential knowledge and skills that must be mastered in order to carry, store, and use a firearm safely and effectively for personal protection outside the home. Upon completion of level one, Instructor Candidates will attend level two, which is additional range training and teaches how to teach advanced shooting skills. After the classroom portion, Instructor Candidates should expect to spend several hours on the range during level one. Level two involves additional hours on the range and approximately 200 rounds of ammunition. The ammunition requirements are minimum and may be exceeded. Instructor Candidates will receive the NRA Personal Protection outside the Home Instructor Manual & CD, NRA Guide to the Basics of Personal Protection Outside The Home handbook, NRA Gun Safety Rules brochure and the appropriate course completion card. The NRA Basics of Personal Protection Outside The Home Instructor Course is for adult individuals who are not disqualified from possessing a firearm as defined by applicable federal, state, or local law and are of good repute and possess defensive pistol skills. Suitable Holster that protects the trigger. No pocket guns or holsters. Concealment garment, light jacket or vest. 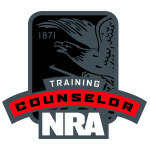 **This is a 2-Day Course** You must have completed and be Certified to teach NRA Basic Pistol and Personal Protection in the Home course along with having successfully completed the Personal Protection Outside The Home Student Course and pass the prequalification test in order to take this Certification Course. You also must have had Basic Instructor Training within the last 2 years if the BIT is not included in this course.